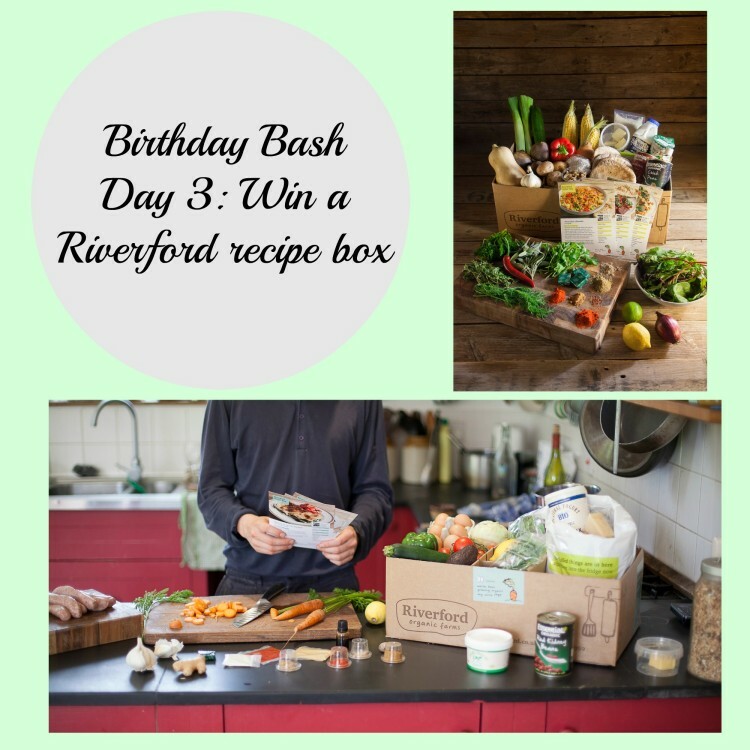 On to day 3 of the Birthday Bash giveaways, and you could win an Organic Recipe box from Riverford! Riverford recipe boxes are a simple and inspiring way to cook. Riverford deliver everything you need to make tasty organic home-cooked meals. Inside each box, you’ll find the freshest, seasonal organic produce, step-by-step recipe cards and all the ingredients in exact quantities. No waste. No missing the vital ingredient. All you have to do is cook.